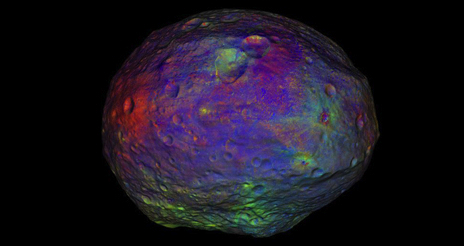 The newest release of data from the Dawn mission to Vesta shows a very young impact basin, the mineralogy of the asteroid, and suggests that Vesta is a protoplanet. 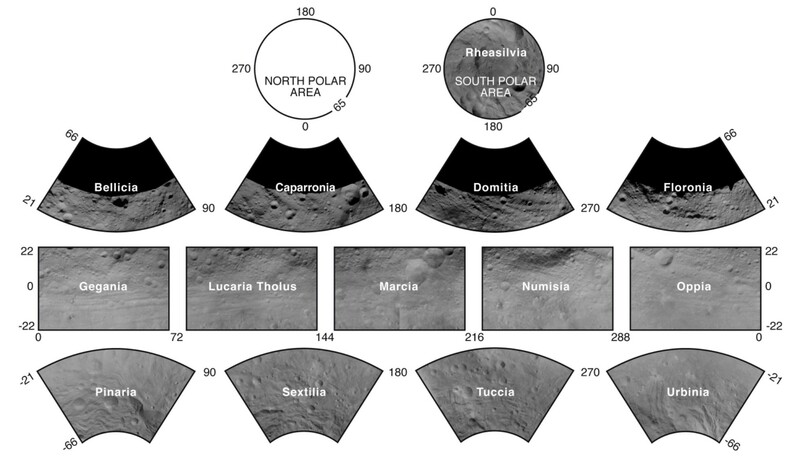 The image above shows the mineralogy of the Southern Hemisphere of Vesta. It covers only the inner crater and highland region of the Rheasilvia Basin, compared with the elevation and gravity contour maps previously released. David O’Brien from the Planetary Science Institute in Tucson, Arizona, is a Dawn mission scientists and discussed the dating of the two giant impact craters on the Southern Hemisphere of Vesta. “The large impact basins on the moon are all quite old. The fact that the largest impact on Vesta is so young was surprising.” Scientists have concluded that the Veneneia Basin is 2 billion years old, and the Rheasilvia Basin, which overlies Veneneia, was created only 1 billion years ago. Vesta itself was created about 4.56 billion years ago. 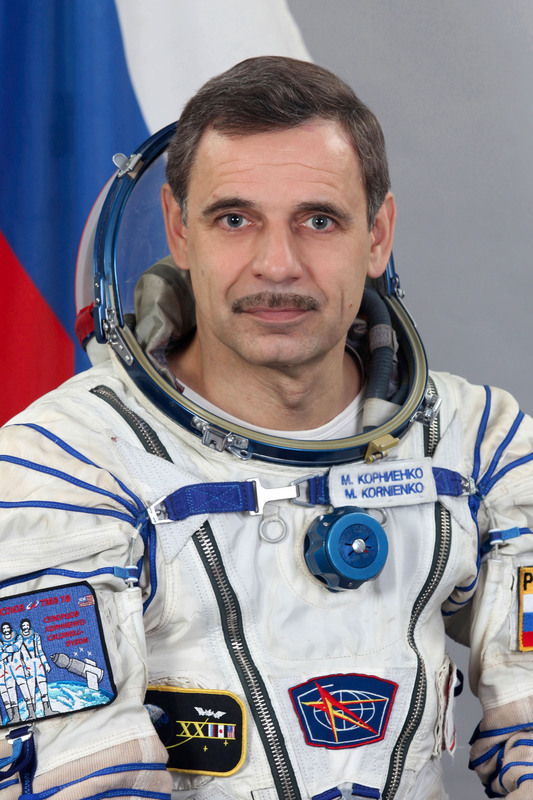 Observations by the Dawn spacecraft in the low mapping orbit of its year-long mission has revealed the layered composition that was suspected. Like the Earth, Mars, the Moon, and Mercury (see below), Vesta differentiated in a molten state, creating a crust, mantle and iron core. This qualifies Vesta as a protoplanet. But Vesta is not quite in the dwarf planet category to which the asteroid Ceres, next on Dawn’s agenda in 2015, or Pluto, belong. Minerals exposed in deep impacts show minerals related to subsurface magma. 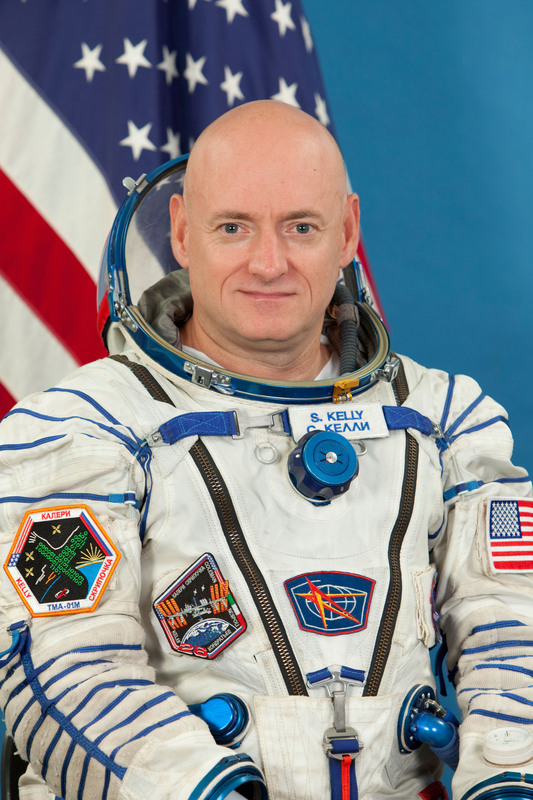 This adds to the evidence for a differentiated protoplanet. 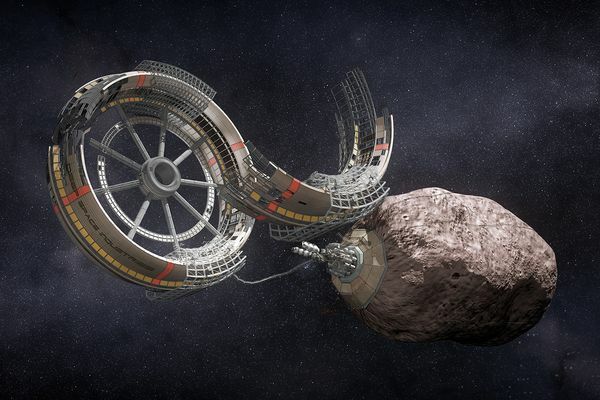 Minerals on the surface of Vesta are rich in iron and magnesium, similar to pyroxenes. These minerals are the same as found in certain meteorites that have fallen on the Earth. 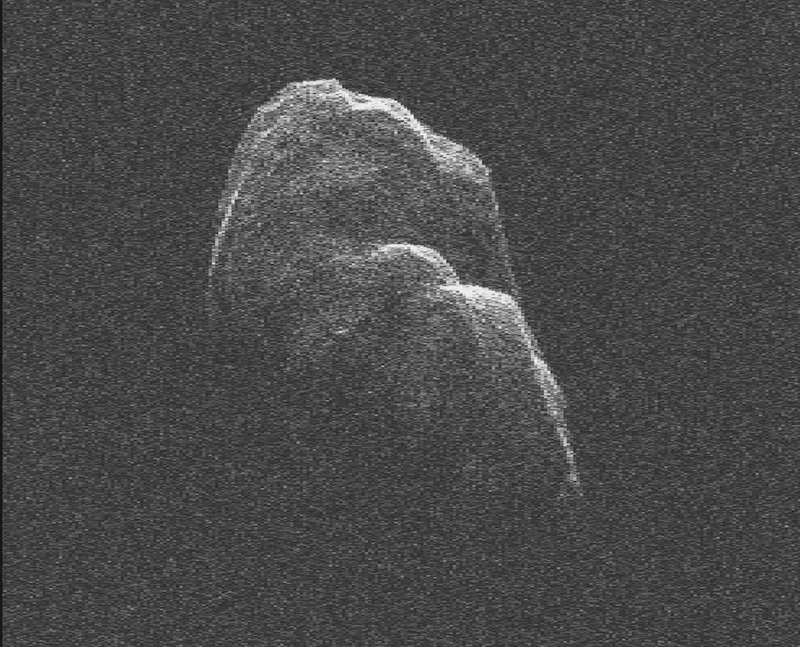 This image above shows three minerals in meteorites from Vesta. 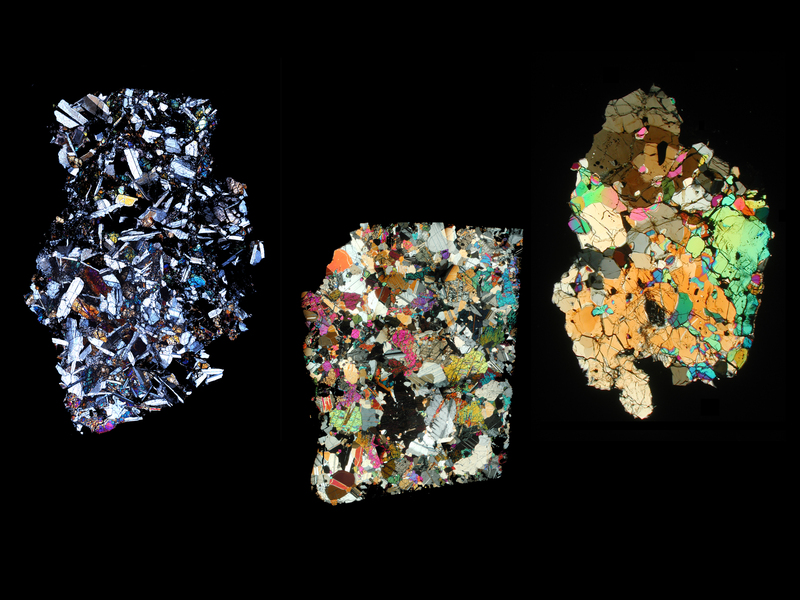 The three meteorites were sliced and viewed through a polarizing microscope, which makes different minerals appear in different colors. The image on the left is basaltic eucrite, from a meteorite named QUE 97053, from Antarctica. The middle image is cumulate eucrite from a meteorite found in Moore County, North Carolina. 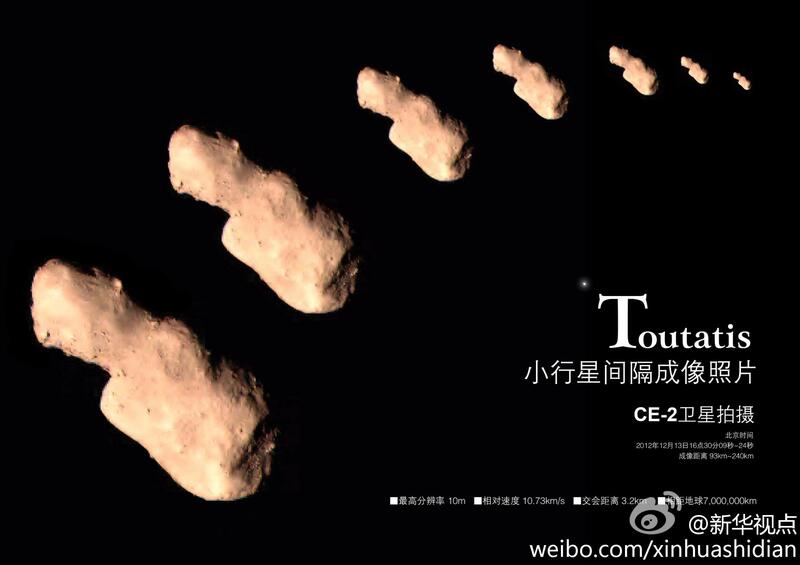 Finally, the right hand image is from a meteorite named GRA 98108, from Antarctica, and is composed of diogenite. 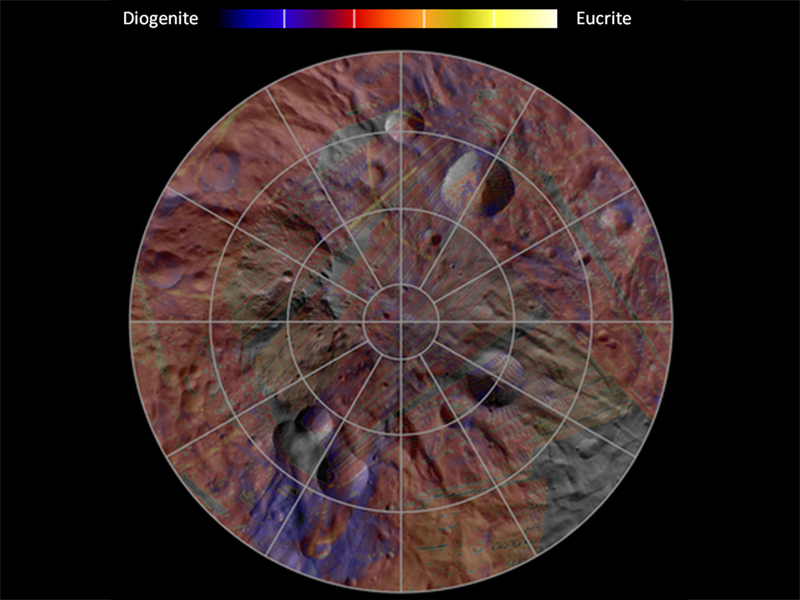 Eucrites are mostly regolith minerals formed near the surface of Vesta under pressure from newer, overlying deposits. Cumulate eucrites, however, are rare types with oriented crystals. They probably solidified in magma chambers deep within Vesta’s crust. The crystals of diogenites are primarily magnesium based orthopyroxene, and are igneous rocks formed slowly, also deep within Vesta’s crust. As such, these minerals are indicative of the molten nature of Vesta’s early history, and its status as a protoplanet. 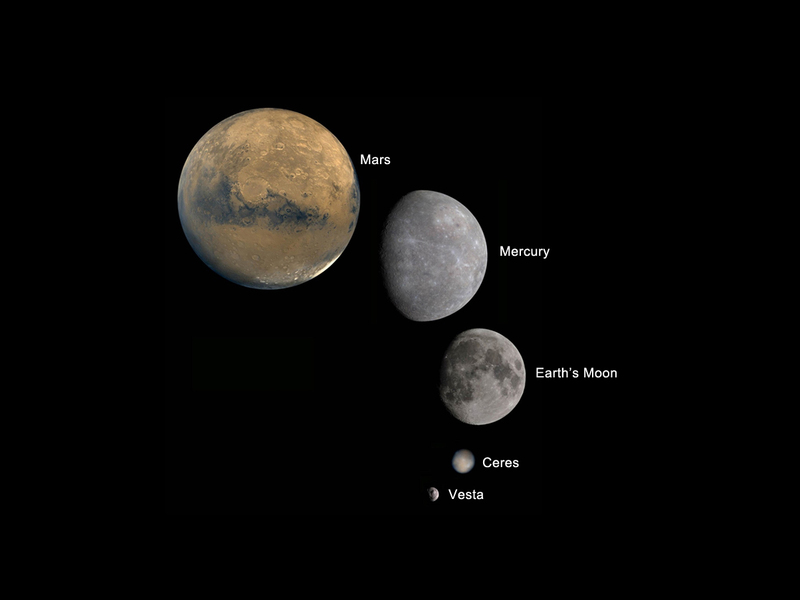 Below, we have five of the smaller bodies in the Solar System: Mars, Mercury, Earth’s Moon, Ceres and Vesta. They show the progression from planet to dwarf planet to protoplanet. All of this evidence suggests that Vesta is a protoplanet, a remnant left over from the formation of the rocky planets in the inner solar system. It was not swept up by the formation of those worlds. The Dawn image gallery for Vesta is here.